This étude, No. 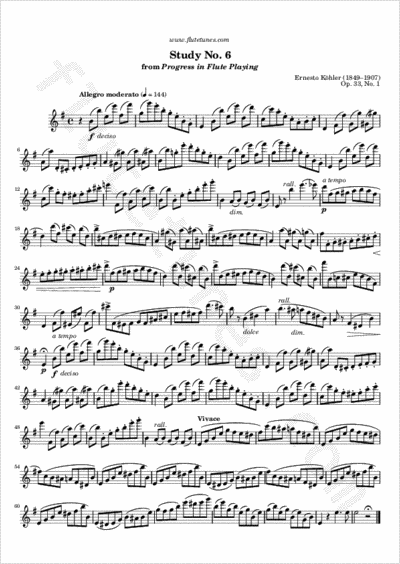 6 of the first book of Ernesto Köhler's Progress in Flute Playing, is a nice exercise in octave-jumping, but also contains arpeggios and short chromatic runs. After a development of the ideas stated in the introduction and a repetition of the initial theme, the piece ends in a fast coda, marked “Vivace”.